The ICA Management Tool runs on Security Management Server / Multi-Domain Security Management Server. Connect to command line on the Security Management Server / Multi-Domain Security Management Server. Allow access to ICA Management Tool only via secured networks. Reduce amount of Administrators/Users and Hosts that have access to ICA Management Tool to the required minimum. 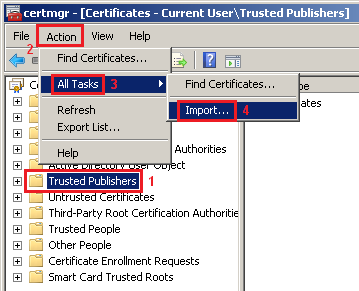 Or make sure that certificate used to authenticate to the ICA Management Tool uses "strong private key protection". Reference: Import or export certificates and private keys - click on "To import a certificate and private key". Administrator permission required. If you are prompted for an administrator password or confirmation, type the password or provide confirmation. Click 'Next', and then follow the instructions. 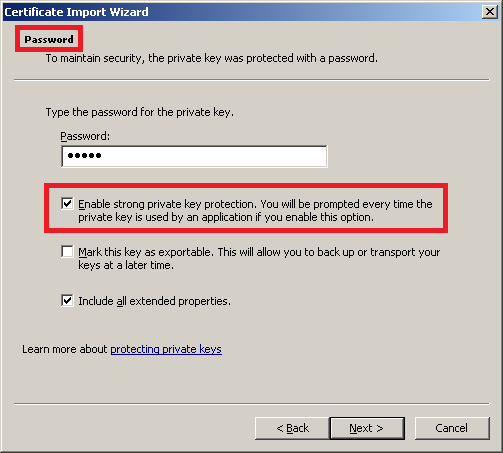 "Enable strong private key protection. You will be prompted every time the private key is used by an application if you enable this option." Security Management Server Administration Guide (R77, R80.10, R80.20) - Chapter 'The Internal Certificate Authority'.